Starbit's Test - Can you identify a meteorite from a wrong?. Is That Unusual Rock A Meteorite? - No Picts - but accurate relationship of dramatic bolide (fireball) and subsequent 'discovered' wrong. Putorana-Maybe the Best Meteorwrong - J. Tobin's article on Siberia's controversial mineral. Pseudometeorites from the U.K. and Ireland Meteorite Page. Eaton Meteorite and Nininger - 1931. 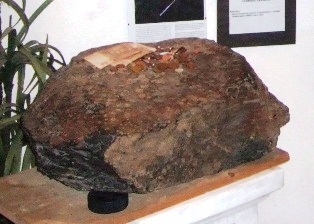 The Getafe rock (pseudometeorite) is analyzed. The Meteoritical Bulletin. Kirkpatrick Basalt found during Anarctic Meteorite Search. Was I hit by a meteorite? - "meteorites melt in the atmosphere, not in your hand." The BBC and Open University program, Stardate, has posted its promised Become a Meteorite Hunter guide. Part of this is identification information that includes the fact that industrial slag is commonly mistaken for meteorites. Also, Search 'meteorite'! Geophysical Meteors A different type of meteorwrong! I don't agree with the authors' conclusion of geophysical meteors in most of the reports, however the events lacking any reported meteoritic evidence are very curious. The news accounts alone are worth the visit. MegaCryometeors - Reports of huge ice chunks that fall from the sky. 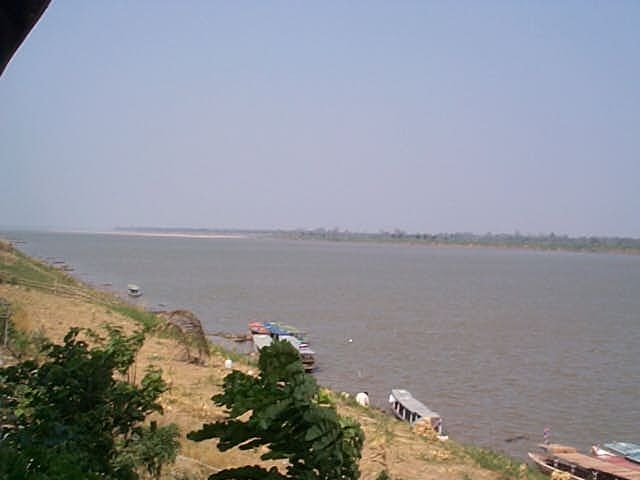 Prof. Jesus Martinez-Frias provides further research to this terrestrial phenomenon. 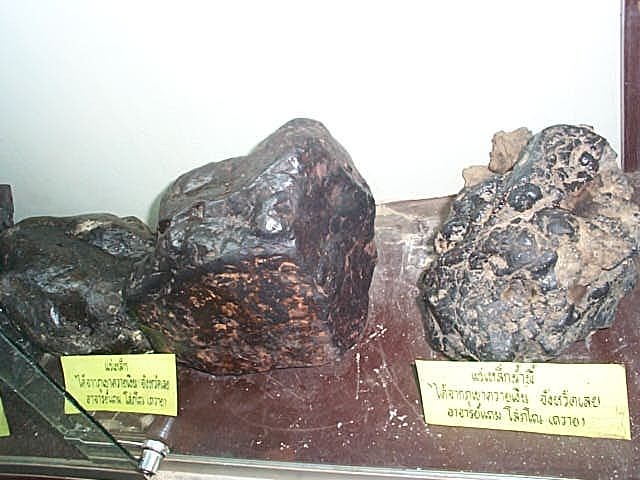 *Anyone can make a claim that they have found or own an authentic meteorite. It is entirely another matter to offer satisfactory proof via verification by the Meteoritical Society or a recognized classifying institution. The links below lead to web pages of alleged "meteorite" finders/owners which in the opinion of this author, for lack of proper independent verification and/or circumstances associated with the alleged "meteorite", cast doubt on authenticity. This does not mean that it is not a meteorite, only 'suspect' in the opinion of this author. 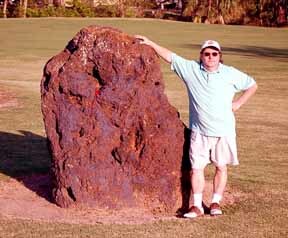 Is the Black Stone of Paphos a historical meteorite? Norbert Classen travels to Cyprus to discover the truth. About half way down the page, you will find the photo of what is believed to be a Machu Pichu "meteorite". If you haven't the time to visit Washington State's only Paranormal Science Museum and see "Debris from the Air Force's first plane crash - a B-25 Bomber and what could be an artifact ['meteorite'] from a UFO the plane was carrying when it crashed," here is the news article containing a more revealing video. In Windyville, Missouri one will find Historic Lone Rock. "The rock is approximately 100 feet long, 60 feet wide and about 30 feet tall and rumored to have been a meteorite. 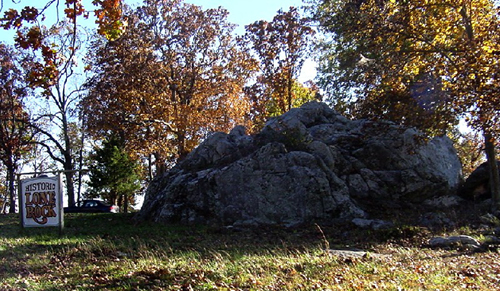 The large rock was has been the site of Sunday school picnics and gatherings of all kinds. The author has renamed her farm due to "THE STORY ABOUT A 'METEOR' THAT FELL ONTO MY GRANDPARENTS YARD NOT FAR FROM MY HOME." more. This finder wants to sell "Alien Vistors (Space Rocks) from Space"
The owner asks, "Is it from Outer Space?" and "Do you want to purchase some?" Still another "Meteorite or not." Goran Lindfors boasts " It`s me Göran Lindfors from Sweden, with the worlds most beautiful Lunar and martian Mars meteorites. If you read on the Washington university home -site with registered Lunar samples = The evidence are fusion crust, glass with unsorted clasts (agree). But the true is that none of them on the Washington university-list are in hard shocked glass. I have much fusion crust on my pictures ! And of course are all mine in extreme ". Read what Randy Korotev had to say about this individual and his 'meteorites'. Not only does this site contain some 'wrongs' but some strange health misinformation from Bulgaria. Want to pay meteoritic prices for wrongs? Then shop carefully at the Treasures of the World (scroll down to 'Meteorites') because only 'suspect* meteorites' are listed. * This video by rayoloco5000 proudly exhibits his 'Martian meteorite' and other obvious wrongs. ** A North Carolina wrong? Sorry! *** Another 'What is it?' wrong. ANOTHER space cadet is convinced God has given him a piece of Mars to present to the planet Earth. The problem: The "Conspiracy" is hindering his efforts and he needs your help at Frass "Meteorite". Here is a link to independent test results (large PDF file) that you won't find on the Frass site. BEWARE: Not all 'wrong' sites are listed. Some sites may appear legit but may not be. Be alert to self proclaimed experts who self 'classify' their 'meteorites' but are not Meteoritical Society approved testing facilities or individuals. Do not let the cry of 'conspiracy' obscure a seller's omission of independent verification and classification. Just because a Google or Yahoo search may result with a site found on many web lists of science links, this is not necessarily evidence of the site being scientifically sound or being approved by the scientific community. Motives? Actions often reveal motives regardless of what is stated. For example: Would you find it suspicious of a person selling a '$100K diamond' not to let the item first be independently appraised? In order to explain this strange action, the seller implies that all the jewelers in the world have conspired against him because he claims to have 'exposed' a local jeweler's 'misconduct'. In other words, all the jewelers in the world (persons who have no financial stake in this item) are not to be trusted but the seller with the unverifiable 'diamond' for sale is to be trusted? What kind of transaction would you conclude this to be? What would you say is the motive?